Months ago, the Conservation Law Foundation (CLF) introduced litigation attempting to halt Boston’s Municipal Harbor Plan, saying that recent developments have disregarded public input. Many of their complaints speak to Massachusetts General Law Chapter 91, the Massachusetts Public Waterfront Act, which regulates the public use of statewide tidelands and waterways. Next month, a judge will determine whether CLF has standing to bring the suit. In the meantime, it’s important to set the record straight about the benefits waterfront development has brought, not only to the Boston economy, but to its workers and residents. We know responsible development is a crucial cornerstone of Boston’s current building boom. Without it, we have flagrant disregard for environmental, safety and worker rights. Adhering to the mandates of Chapter 91 is what separates good developers from all the rest. The truth is that the projects the CLF has attacked, both through the media and the courts, have all met Chapter 91 regulations. Arguing that Boston Harbor development has ignored these standards is disrespectful to responsible developers, regulatory bodies who enforce the law, and most importantly, to the working men and women who build these projects. Make no mistake: CLF litigation has nothing to do with public access but instead appears to be a ruse to raise money from responsible developers eager to avoid costly delays in the courts. The fact is, CLF’s assertion that development on the harbor has ignored the public good is disingenuous. It simply doesn’t hold water. The resurgence of Boston Harbor has brought us a myriad of new social opportunities. One only has to look at children playing in the water spray features on the Rose Kennedy Greenway, or a couple walking along the Harborwalk, to understand that public access to the harbor has greatly improved over the past decade. New cultural institutions, such as the Lawn on D, offer concerts and family events—many of them free—that would have been unimaginable 10 years ago. Recent Boston Harbor development has also reinvigorated existing cultural institutions such as the Institute of Contemporary Art. The ICA once stood at the edge of a barren wasteland of parking lots. It is now part of the vibrant South Boston waterfront, attracting tourists and locals alike to lift our arts and restaurant sectors. The ICA now offers a boat ride to visit the new Watershed arts annex in East Boston, connecting the public to an undervalued Boston gem that has too often been cut off from the city’s economic opportunity. Ten years ago, no one wanted to visit the harbor. Now they do, and they can, thanks to the responsible developers and the workers who are building Boston. The Boston Harbor renaissance has created thousands of good, family-sustaining union jobs for workers across the building trades. These workers live in the Boston neighborhoods CLF purports to be concerned about—Mattapan, Dorchester, South Boston and East Boston. The redevelopment of the waterfront is lifting families and lifting those communities. These workers are the most-highly trained in the country. They have cutting-edge expertise in green building, including energy efficiency, the use of recyclable, low-impact building materials, and strategies for climate change resilience. The CLF should support these practices. It is right that developers be held to the highest legal standards to preserve public access to the harbor. But once they have done so, they should not be held hostage by frivolous lawsuits that aim to derail any Boston Harbor project. Responsible development along Boston Harbor is essential if Boston wants to remain a world-class city that attracts the best students, the brightest doctors, the most innovative businesses and the most discerning travelers. The responsible developers and the workers renewing Boston Harbor are, undoubtedly, building the public good. 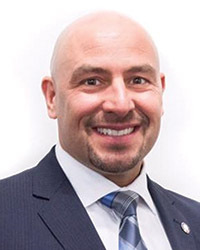 Lou Antonellis is the business manager for IBEW Local 103, Dorchester, Mass.